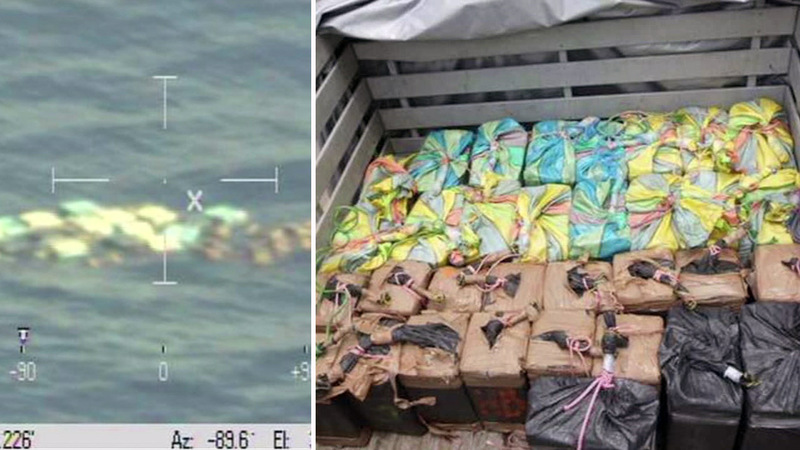 PUERTO CHIAPAS, Mexico -- A very large suspected drug haul was located in the Pacific Ocean by Mexican authorities on Monday. The Mexican Navy said it made the highly unusual discovery in the waters off of Puerto Chiapas. Officials stated 33 packages were found floating in the ocean. Inside several of the packages was a substance consistent with cocaine, according to officials. Authorities said nearly 2,000 pounds of the substance was recovered. An investigation was underway to determine how the packages ended up in the water.